Condition/Comments: Approximately 14”w x 9 1/2”h x 2"d. Beautiful, all original condition with light aging to metal can and reverse painting on glass. Retains small portions of original hanging chains. 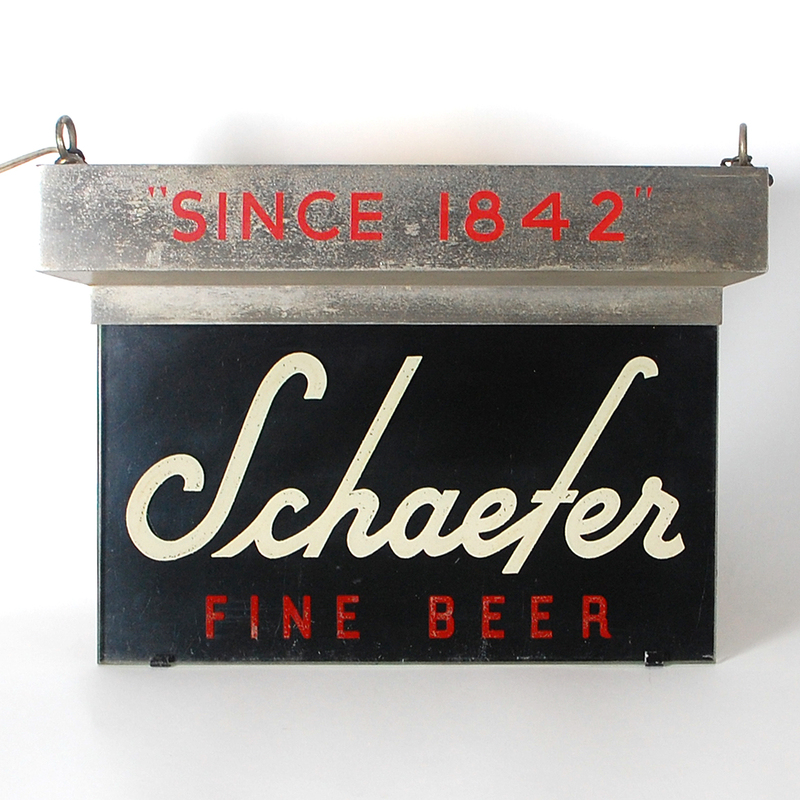 This is a rare lighted hanging sign, the only example we’ve seen. The small size enhances its appeal as it it made of all the same quality as larger signs with a heavy metal can and thick etched and reverse painted glass ad panel. It will display well on a small wall. The warm antique aura of this sign is impossible to capture with photography but unmistakable when viewed in person.